Since moving to Portland just over a year ago (happy recent Portlandversary to us!) we noticed that it had been a long time since we had eaten at Chipotle–weird, I know. Back in Chicago, with working late, no A/C, and little patience, we sought out the best option for a healthy, convenient meal. The winner was Chipotle’s Burrito Bowl; gluten-free, large, and filling (I would usually eat it over two meals), and full of fresh veggies and good proteins. Then I realized–why not just make our own? That is what led us to creating a great meal for both hot nights and quick lunches, where the most difficult ingredient is rice (and that’s just depending on how you cook it). This meal yields a fantastic vegetarian and even vegan option too (minus meat and sour cream). Put this on your grocery list the next time you’re in need a meal without heating up the house! A super healthy, flexible meal to make the whole family happy. This recipe is gluten-free and has dairy-free, vegetarian, and even vegan options. Start the rice–cook according to package instructions. Meanwhile, grill the steak 4-6 minutes per side depending on thickness and how cooking preferences. Remember: the steak can be made ahead of time and stored in the fridge for a few days–when we plan this recipe we will grill it with something else earlier in the week, chop it up, and store it. In an oiled pan on medium-high heat, combine red pepper, onion, chili powder, cayenne, oregano, and chipotle chili powder (because of the heat level I would suggest something like coconut or grape seed oil, however, in a pinch olive oil will do—simply keep the temp under its smoke point). Cook approximately 5-7 minutes, stirring often. Remove from heat, and set to side. Ensure all your toppings are chopped, and now you can begin the build! There isn’t really a wrong way to combine all of the ingredients, though I find it to be a nice presentation if the rice is the base to build on. You could also combine all ingredients into a large bowl, mix, and refrigerate until needed. Do what works best for you! 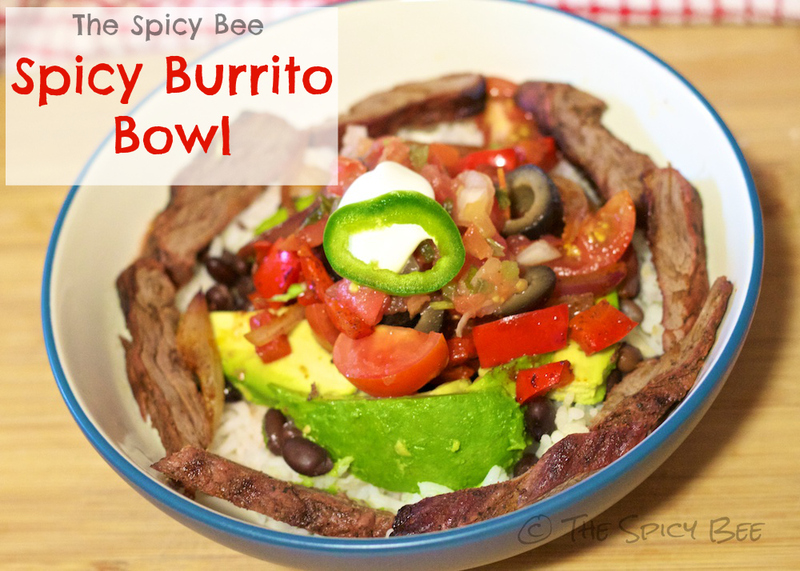 This may even be a great dish to bring to your 4th of July picnic! 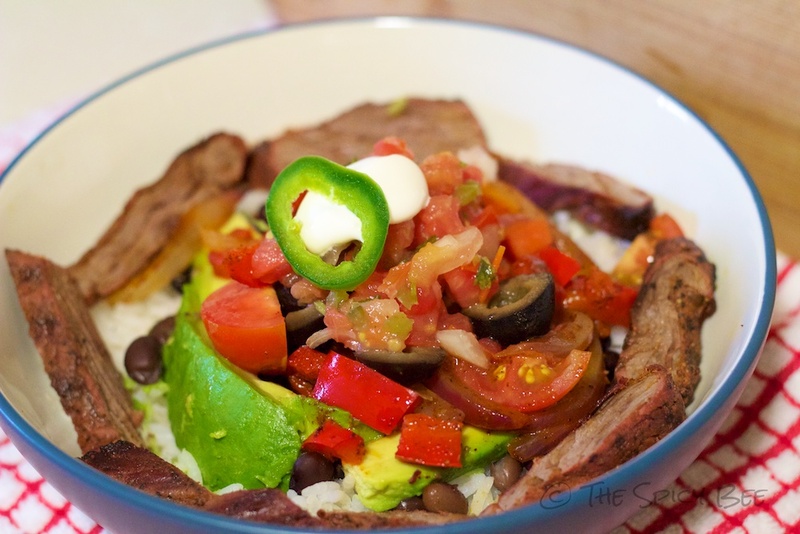 How do you like your burrito bowl?